The Artists' Collecting Society is delighted to reveal the judging panel for the inaugural ACS Studio Prize 2017. 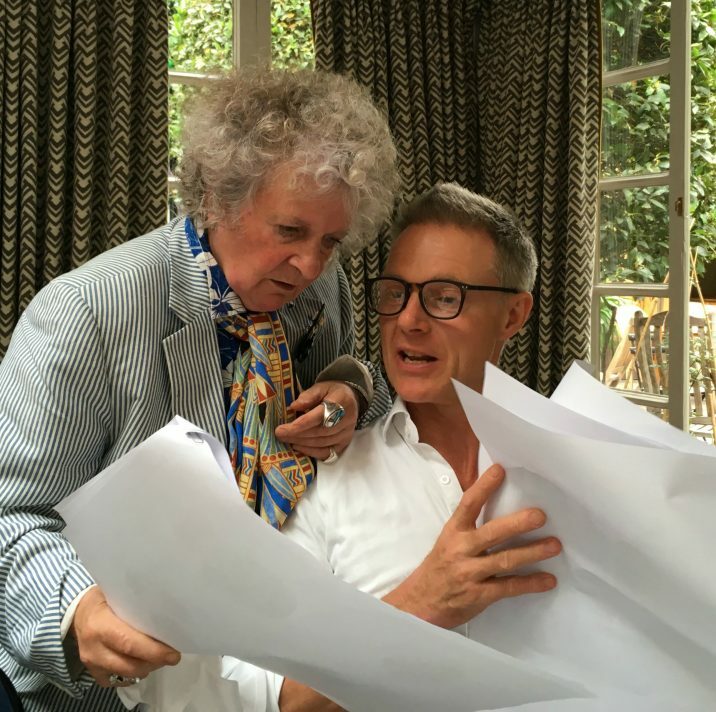 Lady Bridgeman, founder of the Artists' Collecting Society and Bridgeman Images, is joined by renowned painter and sculptor Maggi Hambling CBE and Artistic Director of the Royal Academy Tim Marlow. The judges are hard at work deliberating over the winner of this year’s Studio Prize, and they will reach a decision in the coming weeks. Over 200 applications were received for the Studio Prize from students and graduates of arts universities throughout the UK and the EU including Spain, Turkey and the Netherlands. We are pleased to announce that 13 artists have succeeded to the next stage of the prize, and one winner will be selected by Lady Bridgeman, Maggi Hambling and Tim Marlow to receive £6,000 to aid in establishing an artist's studio. Alessandro Carboni of Central Saint Martins produces sculptures, installations and paintings and often uses found objects to create a narrative. Andy Farr of Coventry University creates paintings and works on paper in response to reflections and experiences of mental health issues, juxtaposing bright colours in subdued environments. Anna Biesuz of Wimbledon College of Art explores the body in her detailed and expressive line drawings which predominantly focus on the female form. Badr Ali of Central Saint Martins creates abstract, colourful impressions of atmospheres and environments in his large scale work. Charlie Schaffer of the University of Brighton paints accomplished portraits in a highly detailed and expressive figurative style. Corey Whyte of Staffordshire University constructs sculptures using inflatables and polyurethane foam to comment on commercialism and cultural appropriation. Jack Latham of University of South Wales, Newport captures emotive landscapes and portraits of subjects around the world using traditional large format film cameras. Jake Grewal of the University of Brighton produces vibrant paintings and works on paper that explore highly detailed dreamlike landscapes. Jessica Steel of the Royal College of Art uses precise digital tools in her ceramic and glassware which display in depth research into the chemistry of glazing. Marco Miehling of the Royal College of Art produces large scale sculptural installations that investigate objects and their potential states of being. Rebecca Harper of the Royal Drawing School illustrates energetic scenes of life in her multi-disciplinary practice and has explored the vibrancy of India in her most recent series of work. Rhona Jack of the University of Dundee explores repeated processes in a range of media and recently designed and constructed a loom using reclaimed materials to explore such processes further. Sam Ivin of the University of South Wales, Newport focuses on social issues in his artwork, using hand-scratched C-Type photographic prints to represent the impact of such issues on individuals. We look forward to announcing Lady Bridgeman, Maggi Hambling and Tim Marlow's chosen winner shortly.